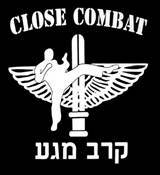 PONGO: Israeli T-shirts, Hebrew, IDF, Krav Maga & more, Jewish gifts. Pongo.co.il is a great website that can supply you with a wide range of Israeli T-shirts in a range of different sizes, styles, colors and prices. They have a specific specialization on Military Israeli T-shirts, contact battle Israeli T-shirts, funny inspired Israeli T-shirts and also Israeli T-shirts with various symbols on them that represent all of the different parts of the Jewish faith. T-Shirts in general are worn by people all over the world, are very comfortable to wear and are a convenient addition to your wardrobe. Over the last few years it has become very common to wear a t-shirt with writing on it or designs to express your feelings to the world, this type of fashion has gripped the fashion world and taken it over by storm. Big designers are now making t-shirts with statement messages on and symbols that represent their brand of clothing. Israeli T-shirts are no different, they too are being produced to advertise Israel, also to send messages of both faith and of other important messages, symbols and places that can be found within or are associated with Israel. The website is the perfect place to purchase one of their Israeli T-shirts as a gift for someone with a special occasion in mind or even to buy something for yourself. The cost of the t-shirts is very reasonable given the amount of work that goes into them and the quality which is better than other Israel T-shirts websites; at Pongo the quality is above and beyond, you will be satisfied without a doubt. The Israeli army T-shirts that are military inspired are a brilliant creation and are truly a very fashionable and can be worn by almost anyone, anywhere in the world and Pongo gives you that option by providing you with international shipping. The options you can choose from include; original paratroopers t-shirt, Israel army special close combat t-shirt, krav maga t shirt, Mossad emblem Israeli T-shirts, New Israel IDF 2 Army, Israel Army Air force 2, Israel Army Uzi Does it and camouflage Magen David Israeli T-shirt. There are over seven different pages to choose from with plenty of options on each page. The funny Jewish T-shirts which are inspirational as well as funny have plenty of options too, there is something for everyone and everyone’s different idea of what is funny to them. As for the contact battle Israeli T-shirts these are now a huge fashion statement which both women/girls and men/boys are now wearing with great pride. Buying someone one of these t-shirts is a great gift or present and will make that person’s day.